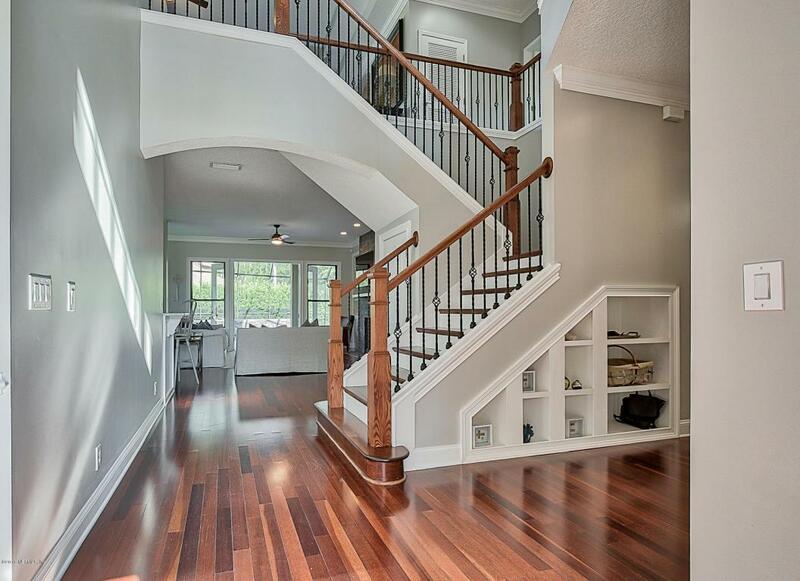 A stunning newly renovated home in the heart of Ponte Vedra Beach. Just minutes from the beach & shopping and located in the top school district in Florida. 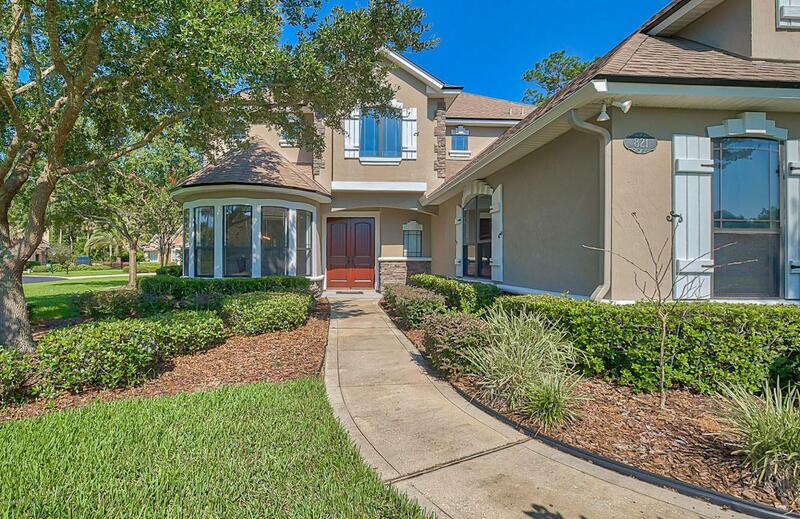 This beautiful 4 bedroom home is located in the gated Plantation Oaks community on a quiet cul-de-sac street. 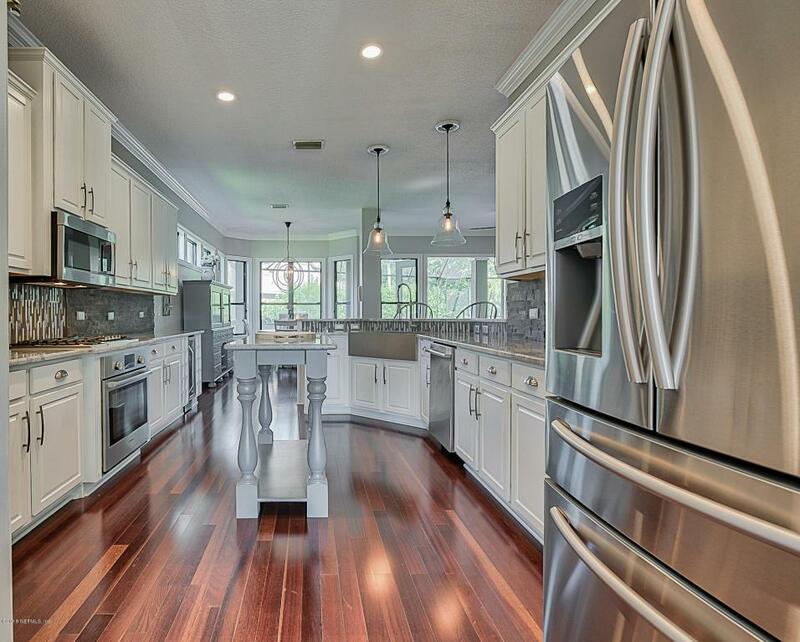 You will see many exceptional features throughout the home starting from the brand new front doors, new quartz counters in the kitchen & a custom made kitchen island & farmhouse sink. The master bathroom has been completely updated with a barn door, freestanding tub, new vanity and shower. New flooring has been added on the stairwell & upstairs. The backyard boasts of the perfect outdoor Florida living from the screened in heated pool, summer kitchen and newly added 400 square ft. lanai complete with gas fireplace & half bath.